Lesson #1. The price may be lower without using insurance. One woman, shocked by the $900 cost of generic anti-nausea drugs for her husband’s chemotherapy treatments, thought to ask about the cost without insurance: $45—which she was delighted to pay. Don’t be afraid to ask. Lesson #2. Shop around. Call multiple pharmacies. Neighborhood drugstores have more autonomy and the flexibility to lower prices that the big chains don’t have. Lesson #3. Appeal for coverage. 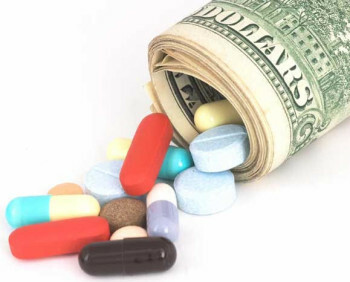 If your doctor prescribes a medication that’s not on your plan’s formulary (something that happens frequently these days), you’re faced with paying the full, generally high cost. You can file an appeal with your insurer, which in most cases must cover medically necessary drugs that aren’t on their formularies if your condition warrants their use. If your health plan rejects your appeal, contact your state regulator and request a free independent medical review. The health plan’s denial letter will specify your regulator, or consult this map of state insurance regulators. **When you are prescribed a new drug, it’s safest to check about coverage with your insurance company before filling the prescription (the pharmacy can generally check this for you). Even if you end up filing an appeal, you’ll know what you’re up against. Some will help only people who are uninsured or have no drug coverage. Some are disease- or diagnosis-specific. Lesson 5: Use prescription discount cards and programs. There are two types of drug discount cards. Cards/programs that come from pharmaceutical companies, generally offering discounts for a specific drug. Discounts that work for multiple drugs offered by AARP, Costco, NeedyMeds, even pharmacies at Target and Walgreens, Note that you cannot use these in conjunction with insurance or state/federal programs such as Medicare. Lesson 6: Choose insurance with drug coverage suited to your needs. Limit out-of-pocket costs by selecting the best insurance plan for your situation. If you have a chronic condition or take a lot of medications, you may want to avoid high-deductible plans, which include the Bronze-level plans. Finally, if you take medications on an ongoing basis, ask your doctor for a 90-day supply of drugs instead of 30—you’ll avoid copays and trips to the pharmacy. To make it even easier and avoid long lines at the pharmacy counter, arrange to get your prescriptions by mail. You’ll be able to set up automatic renewals and receive 90-day supplies of your prescriptions without leaving home. Open enrollment begins in October. This is the time to choose the plan that’s best suited to your needs. Contact Carly Barker @ CJB Insurance Services: 510.342.2670.